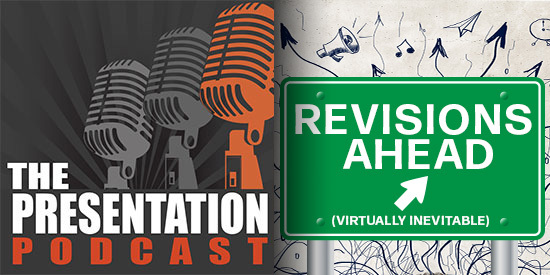 The Presentation Podcast Episode #71 Released Today! A new episode of The Presentation Podcast with Troy, Nolan, and Sandy is available today! Check out the latest episode, #71 – Revisions and File Versioning – How Many? Join Troy, Nolan and Sandy as they talk about revisions for a project. Are they included in the project scope, are revisions billable beyond the project scope, what is a revision, how many revisions are included in a project agreement, is there a point of too many revisions and how do revisions impact the project invoice.